I'm joining in again on Crafting a Rainbow's Top 5 for 2016. Looking through my blog of makes for 2016 it's actually good to see so many successful garments (thought I'm still yet to nail making a decent, comfortable dress - maybe next year). I found it hard to pick just five as I'm basing my "top 5" on most worn/most loved...so you're getting a bonus two (Merry Xmas)! 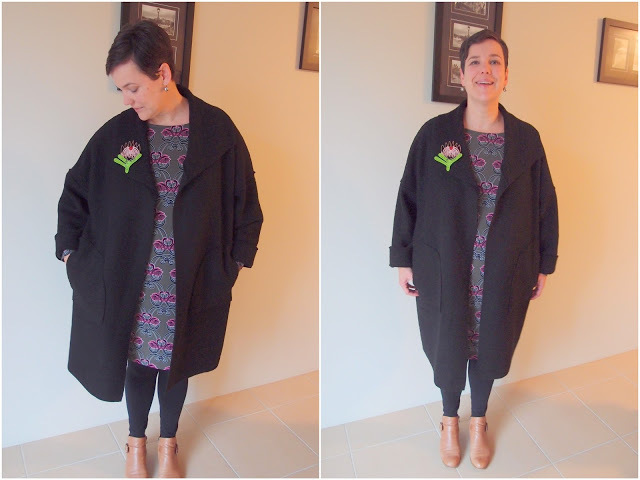 I'm pretty chuffed with this Brooklyn Coat and wore it most of winter, including a trip to Melbourne where it kept me snugly warm. It was easy to sew (once I finally put the pockets on the right way) and is super comfortable to wear. It will see me through next winter for sure! A definite win! I made about a billion Kristen Kimono Tee's during 2016 and this isn't necessarily my favourite but it's pretty close. It gets worn a lot, event to work which is saying something (mostly that it's comfortable and I like it)! I think this is one of the first times I modified a pattern (go me). On top of that it actually worked! 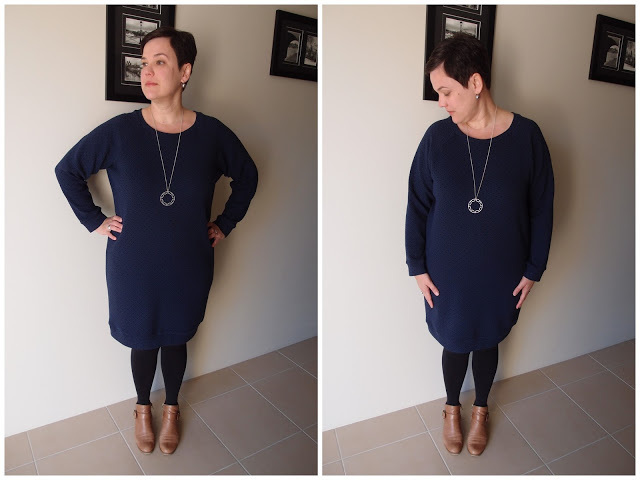 This is the third version of this dress that I've made (the first a too-big muslin, the second a grey version like this blue one) but this is my favourite. I didn't top stitch the neckline down on this one which makes it just a bit more stretchy and comfortable. 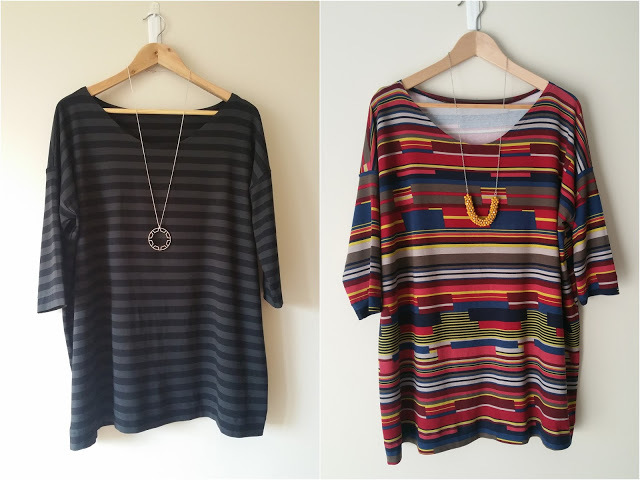 I made both of these Mandy Boat Tees at the same time and they have both gone in to high rotation - both for work and play. I've sewn both of them with a deepish hem and I love the way that looks. I've also stopped using wondertape to turn under the neckline so it's much more stretchy with good recovery. 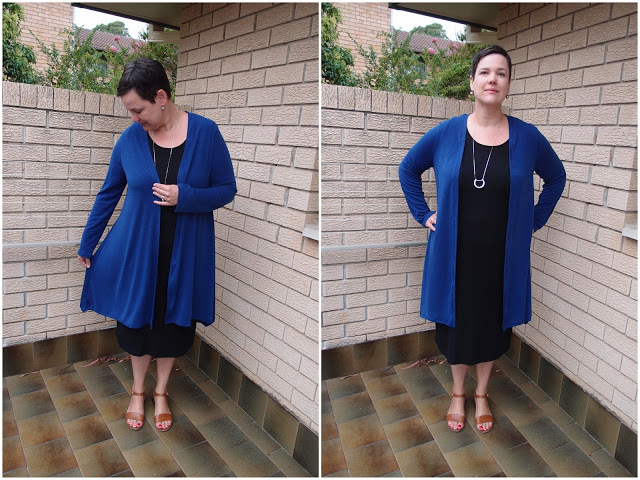 I was convinced this cardi would not fit me until I tried on a sized M sample in store at Tessuti. It was snug but fit (happy dance)...so the XL I've made here is perfect. This got a lot of wear last autumn as things cooled down. I was having a lot of hits and misses with the drafted waistband of the Mabel Skirt so I decided to try and extend the waistband to allow for some wide 5cm elastic. Perfect! This was my toile of the modification to see if it would work out and this skirt has gone in to high rotation...I only wish the fabric was less "man-made" as it's way to hot to wear for the majority of summer. 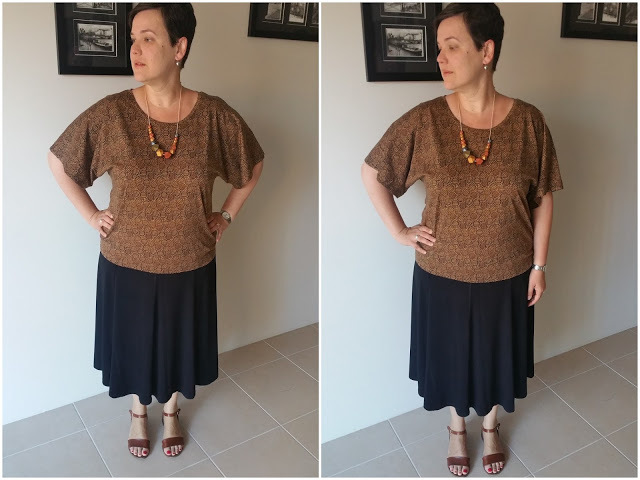 This top is the very first "non-Indie" pattern that I've sewn since starting to sew about 3 years ago. Because I've made quite a few tops by now I didn't follow the instructions so I have no idea if they are any good. And for the fit I just overlaid this pattern onto the Kristen Kimono Tee to assess the size - all good! I'm thinking of lengthening this top into a dress -- seeing as I've had such bad luck with dress patterns from Indie designers. Desperate times. And there you have it -- a rather successful year, especially considering the spate of duds I had when I first started sewing.